If you are interested in blogging or want to promote your book, please contact E. B. Davis at writerswhokill@gmail.com. Congratulations to Shari Randall for her nomination for the Agatha Award for Best First Novel. Her book, Curses, Boiled Again was published by St. Martin's last year. Read the interviewabout the book here. Yay, Shari! 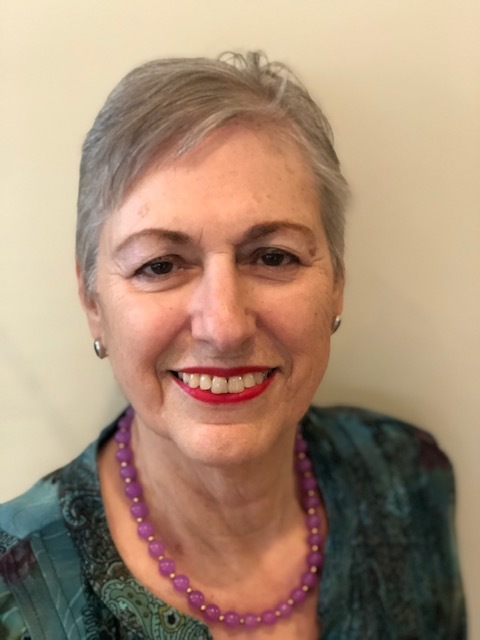 The Malice Domestic conference participants have nominated Annette Dashofy for an Agatha Award for her Zoe Chambers mystery Cry Wolf, published in 2018 by Henery Press. 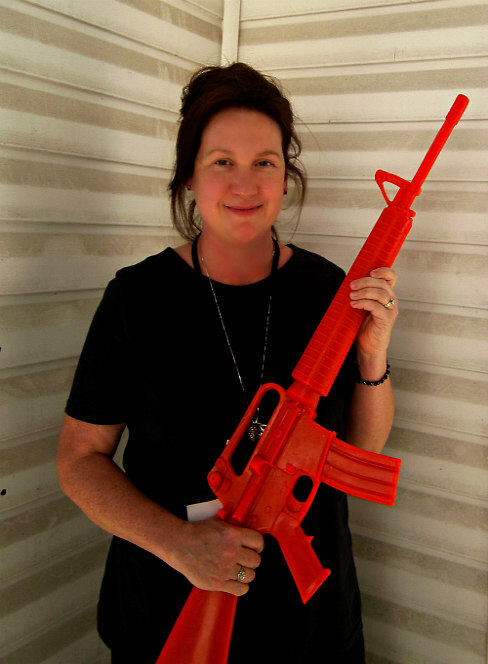 Read E. B. Davis's interview with Annette about Cry Wolf here. Will four nominations be the charm? Grace Topping's mystery, Staging is Murder, which will be released April 30, is available for pre-order. KM Rockwood's new short story, "Map to Oblivion," has been included the anthology Shhhh...Murder! edited by Andrew MacRae and published by Darkhouse Books. It was released on Sept. 12. Warren Bull also has a story in Shhh...Murder! Look for "Elsinore Noir," Warren's short story, in this anthology. Shari Randall's third Lobster Shack Mystery, Drawn and Buttered, was published February 26, 2019. Available for sale. An Afghan woman defies her husband and societal pressures to investigate the death of her son. The battered body of an Afghan boy is found at the base of a cliff outside a remote village in Afghanistan. Did he fall as most of the villagers think? Or is this the work of American soldiers, as others want to believe, with the US Army at a training outpost nearby. Sofi, the boy's illiterate young mother, is desperate to learn the truth about her son's death. Her world is turned upside down, first by the US troops and then by extremists who move in and offer to roust the "infidels" from the region. Defying all odds, Sofi secretly learns to read with the help of Mita Samuelson, an American aid worker. The Afghan woman develops her own interpretation of how to live the good life while discovering the identity of her son's murderer. With fierce and independent courage, she also learns the extremists' real purpose in her village. As they search for answers, the characters come to the same realization: In each of their separate cultures, the urge to preserve a way of life can lead to a fundamentalism that destroys a society's basic values. 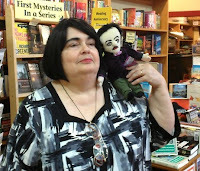 I had the pleasure of meeting Susan Froetschel at a local Sisters in Crime meeting a few years ago before her husband’s work whisked her off to the mid-West. In addition to being an extremely talented writer, Susan generously supports the efforts of other writers, giving them guidance and encouragement. One only needs to read her mysteries, in which she writes passionately about the plight of women in Afghanistan, to recognize how caring she is. 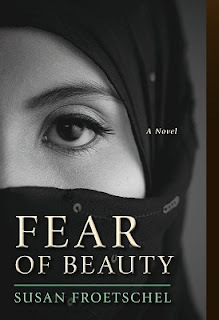 Fear of Beauty is a gripping tale that was fascinating and informative. 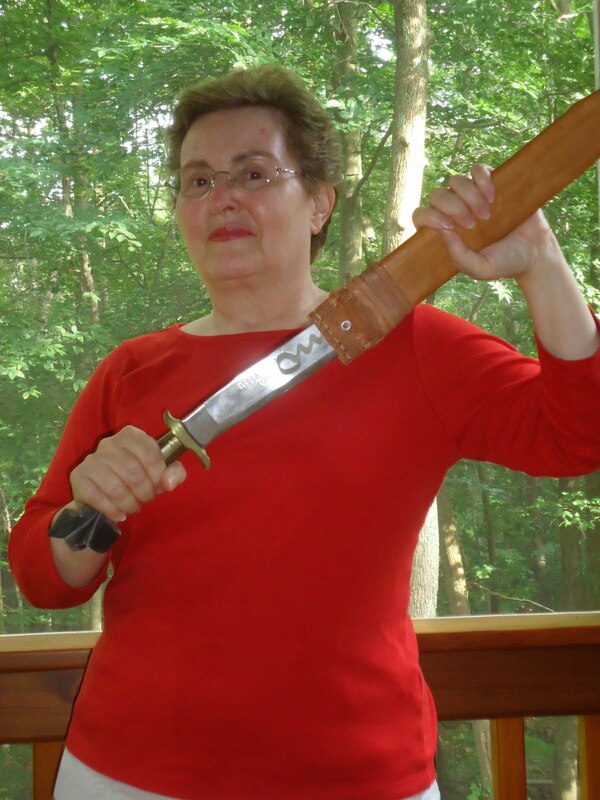 It gives me great pleasure to welcome Susan Froetschel to Writers Who Kill. Fear of Beauty is a mystery wrapped in the story of attempted military and agricultural aid to a village in Afghanistan. Which came first—your desire to write a mystery set in Afghanistan or a desire to raise awareness of the plight of Afghan women, which you have done so effectively? The idea was triggered while driving back from a visit with my parents one weekend amid thoughts of how individuals are so often trapped by the sentiments of their family and controls imposed by their community. Most in our nation are eventually exposed to other ideas and customs, but I wondered what an Afghan woman, living in an isolated village, in disagreement with her husband, friends, and sons, could possibly do if she wanted to read, ask questions and instigate changes in her community. The purpose behind this book is to explore the thoughts and motivations of parents and their children who may feel alienated from other community members, who hesitate to share their doubt. This can happen anywhere in the world, but Afghanistan as a setting lent great suspense. Sofi realizes that in order to solve the mystery of her son’s death, she must first learn to read. At great risk to herself, and with the help of a U.S. aid worker, she secretly does that. What can you tell us about literacy movements for women in Afghanistan, and are they making any progress? Fortunately, literacy movements have made progress. When the United States invaded, the CIA estimated that the literacy rate was about 10 percent for women and 40 percent for men. With the help of provincial reconstruction teams, with skilled military and civilian members, and contributions from USAID and donor groups round the world, hundreds of schools were built and more than 180,000 teachers were trained. Many more children attend school. Progress on literacy around the globe is limited, and measurements are imperfect. The United Nations and World Bank do not provide literacy rates for Afghanistan. A UN millennium goal remains universal primary education for the developing world. The CIA’s definition of literacy is the ability to read and write by age 15; the World Bank’s definition is the ability to read or write a simple statement and perform simple math calculations. Such definitions set a low bar for the modern global economy – neglecting skills in technology, critical thinking, analysis or scientific review. The Laashekoh villagers are reluctant to accept aid or allow outside interference, both because they don’t want to be seen accepting the Americans among them and because they don’t feel they need it. Can you tell us a little more about this issue? Is this the case throughout Afghanistan? People, not just those in Afghanistan, fear change—education, family planning, and new business practices—and they resist outside interference that can introduce such changes. Yet 90 percent of the Afghan budget depends on foreign aid, much of it security. Since 2002, violence has escalated against aid workers around the globe, with Syria, South Sudan, Afghanistan, Pakistan and Sudan accounting for 75 percent of the attacks. Aid workers, associated with a changing culture, are especially vulnerable. So much depends on the individual aid providers in the field and their approach. Aid from the United States and other western nations often comes with political and economic conditions. Also complicating aid are underlying cultural messages that the donors are superior and the recipients are inept wrongdoers. Such aid divides families and communities, and I explore this more in the sequel Allure of Deceit. A key point you make is the unintended consequences of the aid provided by the U.S. government and non-governmental organizations. It appears there is a competition among these groups. Is this the case, or a plot device for your mystery? It’s more human nature than plot device. Competition can be healthy and prompt innovation. But increasingly we see unhealthy forms of competition—greedy quests for power, control and profits that divide offices, classrooms, communities, and organizations. Such competition distracts from an overall mission of providing for the common good and suggests that cooperation is a weakness. Just look at our Congress. Internal divisions can become especially intense as a group must deal with external forces. These plot points were a must for Fear of Beauty after reading reports and essays about how representatives of aid organizations have long debated the merits of military involvement in humanitarian activities. Jahangir’s arrival in the village is reminiscent of the arrival of a thug in an old Western movie. He uses fear and religious quotes to intimate the villagers. It had me yearning for The Magnificent Seven to rescue the villagers. Did you intend to illustrate how so few people could take over large areas of the country and with little effort? Afghanistan is an old country with a young population. The median age is about 18, which means half the people are under 18. And half are women. I was curious about the Taliban’s influence but could not locate the number. Then in 2011, Reuters reported on a leak from NATO and the estimate was that Afghanistan had no more than 75,000 Taliban. Less than 1 percent were controlling a country of 30 million, and NATO estimated that 80 percent joined for economic reasons—a job. The statistic confirms how a small group, the most extremist and violent among us, can intimidate large numbers. They are bullies, nothing more. Fear of Beauty has been called suspenseful and enlightening. One online reviewer said that it “…transports the reader to a war-torn Afghanistan with authority and authenticity.” Were you able to travel to Afghanistan to gain knowledge about the country and its people? If not, please tell us about the research you did to make it sound so authentic? 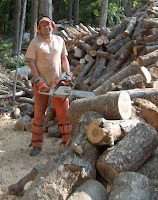 I did not travel to the country and that made me hesitate about writing the book and wonder if I was the right person to tell this story? But I have read so much about the country and met many who have traveled there. Only a handful of stories are told from a mother’s point of view. I went to the stacks at Sterling Memorial Library in New Haven and studied many old books about Afghanistan written in the 1920s and 1930s to get a sense of how the grandparents and parents of my characters might have raised them. And I have tutored adults in our country who are desperate to learn to read and tutored in urban middle schools where children had to hide their love of reading or face ridicule from classmates or even their own parents, much like the father discourages his son in Huckleberry Finn. From my tutoring experiences, I realized that those who have spent many years in one location will not select the same details to describe as those who are well traveled and new to a locale. And the descriptions of those who are less literate will not include the same level of detail. My book is about human relationships and the human condition. These relationships and circumstances exist in our country, too. Males and females have clearly defined roles in the village of Laashekoh. You describe the limited life of Afghan women. Sofi pushes the boundaries of what is allowed women in her village, which limits what she can do to help her family and community. Are women making any strides in having more freedoms, or is it getting worse? In any society, even ours, some women have little control over their destiny and others have more. Afghanistan has made strides for some women, but not all. Young girls have more opportunities for an education, but not all. Women who are not married or who have lost their husband may find more opportunities for work. The country still faces pressures, those who fear change that comes with empowerment of women, from the Taliban disrupting both Afghanistan and Pakistan, and even from the Islamic State who are infiltrating the country from the east to squeeze Shia Iran in a vice. Generally speaking children, both girls and boys, can be trapped by their parents’ rigid beliefs and fears. Reading a novel about another group or culture leaves readers wondering how people in those groups or cultures would view the work. What have U. S. military or Afghan readers had to say about Fear of Beauty? Anything? The book was recognized by the Military Writers Society of America with its top prize for mystery/suspense and a Youth Literature Award from the Middle East Outreach Council, a group of university and high school educators who try to raise awareness about issues in the Muslim world. I was grateful. Readers with a military background appreciate a storyline that shows varying support among Afghans for the foreign intervention and the appreciation for technical advice in so many areas from the provincial reconstruction teams, including skilled military and civilian personnel in agriculture, education, health care, construction and more. They appreciate how Afghan characters could change their allegiance at any moment depending on the security of their family. They agree with the book’s tone that danger was not everywhere, always, but a constant possibility lurking in the background. A child approaching our soldiers could be seeking conversation and adult attention or hope to attack them with a suicide bomb. The mission, on the ground in Afghanistan and in the book, entailed great cultural sensitivity and constant judgments about other people’s intentions. About Muslims, many have read the book. Only a few have shared their opinion publicly in forums like Goodreads. Life for Sofi is changing. In the epilogue, she says, “The memories of myself are of a stranger I no longer understand.” Along with what has happened in her village, has learning to read changed her? A murder motivated Sofi to read, but reading changed her more than her son’s death, exposure of the trafficking ring, or interactions with the members of the US provincial reconstruction team. Reading offers a set of facts to her that she can study and assess on her own. Alone or with a gentle, wise, and generous intelligent aid worker, Sofi discovers her own opinions and debates ideas. Reading increases her curiosity, and Sofi no longer fears uncertainty. What was the hardest part about writing this book? The easiest? The easiest part was recalling and drawing on my memories of attending a Catholic school with nuns who differed over the use of religious shame and motivating children to obey rules, being raised by parents and grandparents with varying levels of religious conviction. I also remember the freedom that came from reading books that suggested women could enjoy careers outside the home and solve problems and be useful members for a community and the joy of students—both adults and children—as I shared techniques for improving reading skills. The hardest part is developing a logical and thorough plot that does justice for the community and characters being described. I understand that you’ve written a sequel to Fear of Beauty. Can you tell us about it? Fear of Beauty was Sofi’s story and Allure of Deceit is the story of Parsaa, her husband. 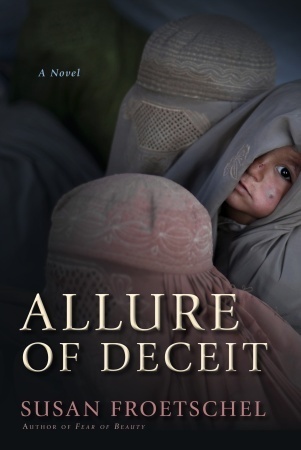 Allure of Deceit describes the same village of Laashekoh soon after the withdrawal of U.S. troops from the country. Aid organizations with varying motivations are eager to help, and Afghans are subjected to investments based not on democratic principles, but on the whims and fears of donors thousands of miles away. Motivation to help the developing world can be accompanied by secret and selfish goals. A wealthy inventor and his wife are killed on their honeymoon, leaving behind a will that surprises friends and parents by directing a vast fortune toward charities in the developing world. The people of the tiny village of Laashekoh are astounded to be regarded as potential aid recipients and in the middle of dueling forces who differ how to provide family planning. Every character is keeping secrets and lying becomes the only means of self-defense. Susan Froetschel, a journalist, is the author of five suspense novels that study how parents resist policies that most others in their community take for granted. She began her career in New York City working for Self, House Beautiful and Esquire magazines before moving to Alaska, where her reporting for The Daily Sentinel was recognized with national and state press awards. She later studied at Harvard's Kennedy School of Government and has written about business, environmental protection, nonprofits, health care and more. 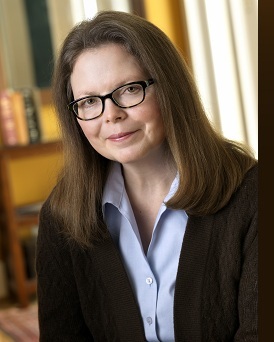 She taught writing classes at Yale and magazine writing and literary journalism for Southern Connecticut State University. In 2005 she joined the staff of YaleGlobal Online, an independent, public-service magazine based at Yale University's MacMillan Center. 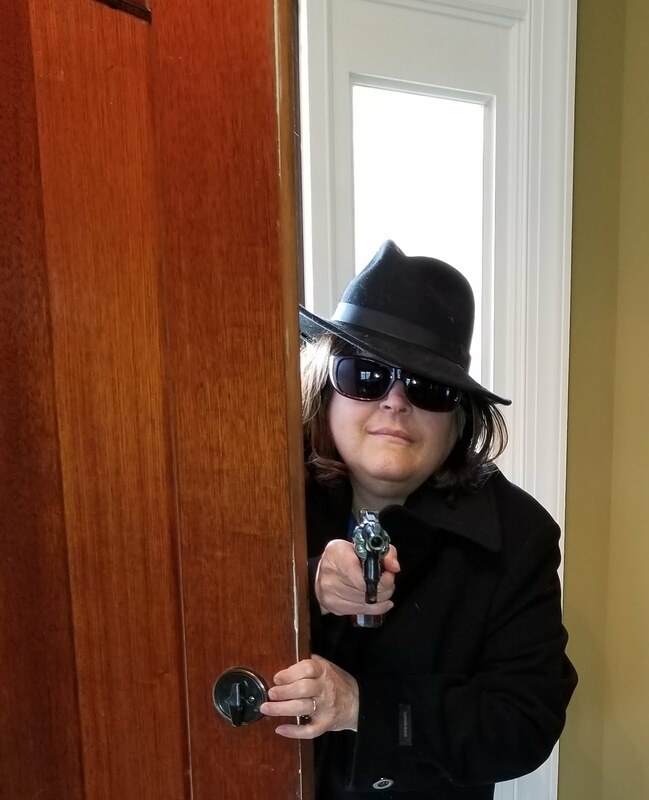 She is a member of Sisters in Crime, Mystery Writers of America, National Book Critics Circle, National Federation of Press Women, Military Writers Society of America, and International Thriller Writers. Nice interview. Kudos to Susan for writing a story that takes us into the heart of another culture. It sounds fascinating. Thank you, Sandy! It's always a joy to speak with Grace. I did enjoy researching and imagining the routines and challenges for women and children who have less control over their lives - and we can only guess about the choices we might make in similar circumstances. The similarities are not always readily apparent, but they are there. I love novels that can transport me to a different time or culture. I think you're telling a story that needs to be told. By using fiction, you can immerse us in an interesting story that displays what you want us to learn without hitting us over the ear with it. This is fascinating. What a wonderful premise and wonderful book. Sounds like Susan is picking up where MM Kaye left off. this one's going on my to-be-read list! You have taken on quite a few areas new to me. Thanks for visiting WWK. KM - I think that fiction allows us to address truths that often go unnoticed in our own culture. Kait- Thank you for the suggestion - I will look forward to reading something by MM Kaye! Carla, thank you for considering the book. There are so many to choose from these days! Warren and everyone, thank you for a fun blog and discussion. It's an honor to join you! Thank you, Susan, for your terrific responses. I look forward to reading more books in your fascinating series. Are You Addicted to Social Media?